your first time around and you wonder what to do, how to move. It’s not that I know everything but after a couple of visits to events you understand the way things move and what to look out for. Note: In a week or so registration will be open so I thought you might need to convince your boss perhaps, here is a good page why you need to go. It’s my fifth VMworld and the first one in Vegas and I still can remember the impact my first visit had. Then, in 2009, “only” 15000 visitors were at VMworld. Walking into a conference as a rookie and seeing this vast amount of people trying to find their way is impressive. You get used to it pretty soon I can tell you, it’s not like they are friends soon, 15000 friends is a bit too much but you feel comfortable moving around. The session catalog is live as of today so you can browse and see what will be presented. I noted a mere 80 sessions out of 650 to be about EUC so we’re not doing that well this year. You can’t however create a agenda yet, the 19th of July the catalog is open to create an agenda. I will provide you with some session I find interesting after the 19th of July. I guess more sessions might be added as we near this date. …and a few more but these are important ones. Click here – link – to register and hopefully I see you there. So now you know the basics, let’s take a look at a couple (13 other topics) that might be useful for you visiting VMworld 2016. The event is held at the Mandalay bay hotel, the Mandalay bay hotel is also hosting a conference center. Perhaps you wonder why they are not having the event in San Francisco? Well the Moscone is being worked at and VMworld 2016 had to move to another location, Las Vegas was the choice. The good thing about Las Vegas is that all sessions are held in one location, no more walking from building to building but all in the same hotel. On the map you see how close the event is to the airport, it’s about 6 minutes drive which is awesome I think. Mind the Las Vegas Sign sign, it the famous sign you want a picture of, I used it in the header of the blog but you know what it is. For the shoppers, and tourists among us the location is perhaps a bummer, it’s pretty far from the real strip, we’re at the end or beginning how you look at it. I don’t mind that for I’m there for the conference but for some that might be a bummer. 2. Food – one of the more important things. Perhaps because I’m from Europe or perhaps I’m not a fan of unhealthy food but the food they serve there isn’t my kind of food. Let’s start with breakfast. below you see a picture of the breakfast we got, yeah yeah there was fruit also, sure that was just there for decoration ;). If you like a more healthy breakfast you’re in for a game for that’s pretty hard to find. Said in another way, forget about health for a week and try to find a tasty breakfast that will do (you can sport when you’re home). There are diners around there so you have a choice to eat somewhere else, diners are popular places to eat breakfast or lunch in the US. We’ve roamed SFO in previous occasions and knew our way around there. This year we roam Las Vegas to see what spot are nice to eat. I did a search and select a few spots that looked interesting. All are about 20 minutes walk so a nice exercise in the morning, sure 20 minutes is old-folks speed so I think they are a good option. There a locations close by but then you have to be happy with Subway or even more fast food like Jack in the box or MacDonalds. There will be breakfast and lunch at the event also but breakfast is not a joke so I like to eat something nice. You got a choice now. Lunch is a better, different tastings are being served in the main rooms. 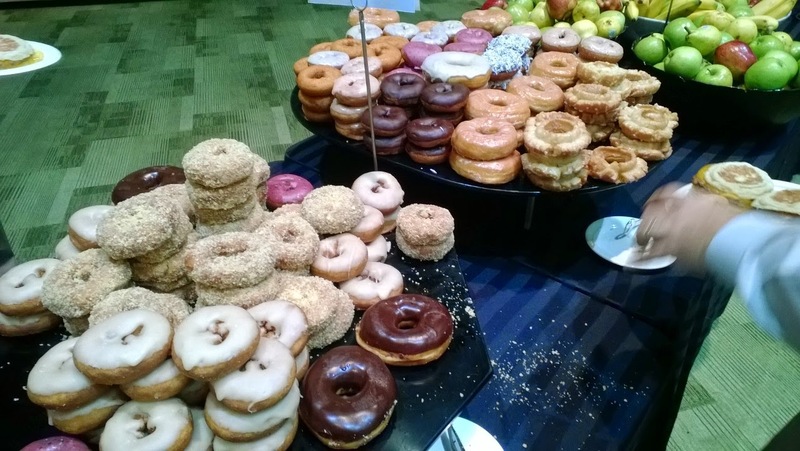 I always ate lunch at the conference but never touched the donuts (which is a Dutch invention I learned the other day, really did we make those?). Lunch is served in a box, most of the times there are six boxes with different tasting, so if you are vegetarian or not a fan of chicken you will find something of your liking. Of course around the conference site are numerous of local restaurants where you can enjoy a lunch. Experience is that you just don’t have the time to go for a lunch, you’re agenda won’t allow it. There are many parties and events around VMworld 2016, some you can register for and some you have to be invited. There are a few parties you have to attend, the VMworld 2016 party is one of them. 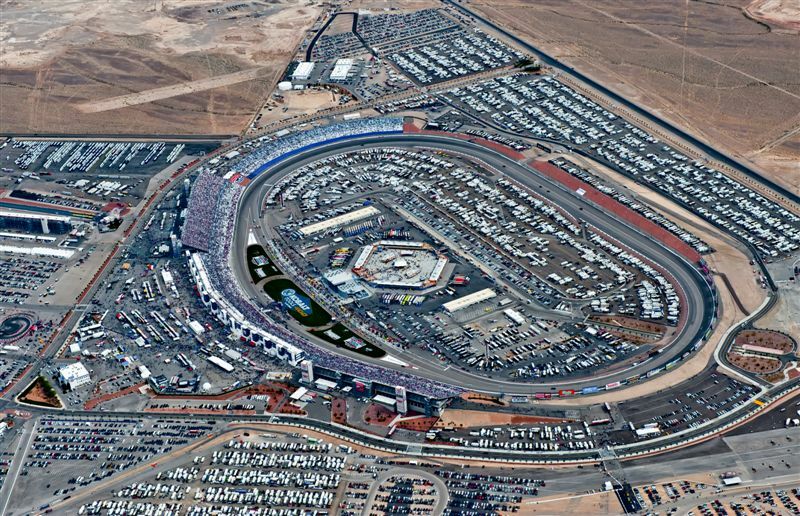 This year the VMworld 2016 party will be held at the Las Vegas Motor speedway. Several virtual and real life experiences around the motor speedway are organised for attendees of VMworld. 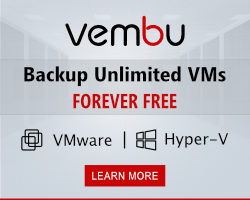 There will be event agenda’ s popping up in the weeks before VMworld, some parties just require sign up and some you need to know people or get asked. I’ll post a link to the most comprehensive one I can find that way you have one source and not many. Pick your parties wisely, of course it fun to party all night and drink like you’re 18 but the next day you have to sit in those sessions again… I’ve done that once, partied a bit to much (it was fun with great people) but the next day we had the keynote and I was suddenly realising that I left 18 far far behind me. Remember that most vendor want you to visit their booth to get the token to get into the party, this can be pretty hard to do (getting to their booth) as you have meetings and there might not be enough the time in between to walk all the way to the floor and back… it’s not a 5 minute walk unfortunately. If you wonder who they are, I added some links to a video of them to get you in the mood. Once you are at your hotel you need to get around. hopefully you booked the conference hotel, hotel prices in Las Vegas are not that bad compared to SFO. There are busses going up and down the strip as well as a monorail so that won’t be the issue. A way of transportation I like is Uber, one click ordering a car and you’re gone. Of course if the event is close by a nice walk after hours of sitting is the best option, we’re not in a hurry. For the rest you just order a taxi and for a few bucks they can take you there. The hotel will have the details for the local taxi service. San Francisco is small and most sight seeing things are around the corner. Las Vegas is different, there are many interesting things to see but not in walking distance and not for just a quick visit. Most sight seeings are at least an hour out. There is one sight seeing that is around the corner, the Las Vegas sign so that is #1 to go see. If you want to be the real tourist, do the Vegas guided tours, look them up at guided vegas tours asking tours are available at $40 or $89 depending on the time it takes. Something I think is cool is the Neon museum, ever wondered where all the cool sign of the old Las vegas stip went to? They were stored in the museum. check them out at Neon museum. They are located at 770 North Las Vegas Blvd 46 min by bus and 13 minutes by taxi. Who didn’t play pinball machines when they were young, well pretty close to the hotel is the pinball hall of fame. They are located at 1610 East Tropicana Ave. 9 minutes by taxi and 33 minutes by bus. Shooting range, perhaps this is more for us guys but if you look at The Vegas Machine Gun Experience you have a nice option for the days around VMworld. There are more shooting ranges around so look for the one that you like most. If you’re a military aircraft spotter you might want to head down the strip to Nellis, Green Flag exercise will be executed during VMworld with Red flag just ending on Friday before VMworld… perhaps add a few days heading to the conference and see fighter jets blast off? There are so many more… so many more, if you have cool ideas let me know and I’ll add them. At these events you will not be short of food, there are parties, receptions and all kinds of happenings where the serve food. Being Dutch we could call these a dutch event, you can get around all week without spending a dime. Most cities in the world I’ve been to have to best food outside the restaurants. Restaurants are pretty boring places with predictable food on the menu. If you want to experience food go look around for food trucks. I ran into one in San Francisco but while doing some research on Las Vegas I noted there were a couple there also. 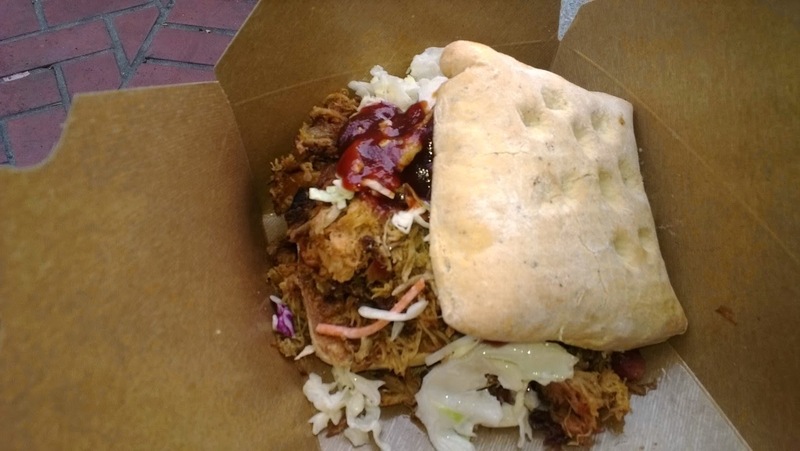 In the picture you see a sandwich of pulled pork that tasted like heaven, better than I ever got anywhere else. 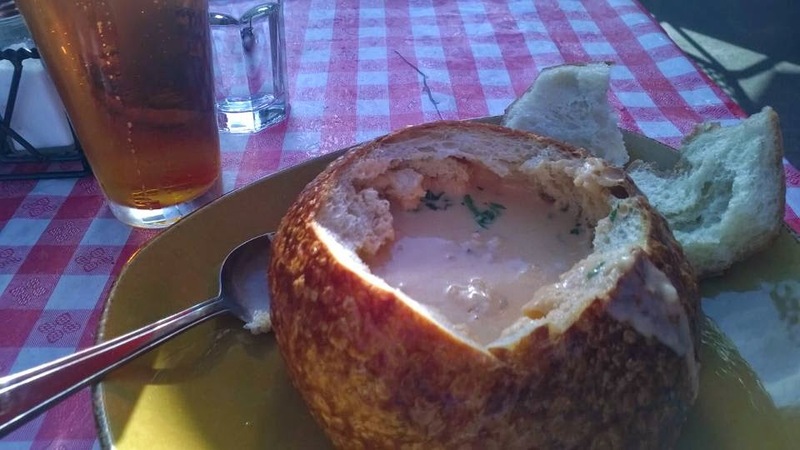 Of course not all restaurants serve predictable food, I certainly will look around if I find a nice bowl of Dungeness crab bisque again. Even though I ate that at the most tourist site in town it was pretty good. If you look for restaurant around the mandalay bay, you are in for a challenge… it crowded I did a quick search on maps and found these..
Or if you are up to it… the Tilted kilt, and who can withstand an Irish diner with a Guinness in a nice atmosphere 😉 They are located a The Linq,3545 Las Vegas Blvd. L-26,Las Vegas. I’m sure I will be there at least once being a “Guinness” fan. We’ve gone here on Friday and to be honest it was not as good as we thought it would be…. of course if you are into girls with kilts this is your place. There is one more extreme place to eat out… The Heart Attack Gril is something for you. If you are looking for 20000 calories you need a Octuple bypass burger. You need to do some walking afterwards if you can to get those off. Lucky there a not close to the hotel, they are located at Neonopolis, 450 Fremont St. It’s a two hour walk so you burn 800-900 calories there..
Ah well I let you roam the area, if you find a great spot let me know… it’s just a week can’t try them all. A good spot to eat is the Yardhouse in the same street at the tilted kilt, they have a good range of food that also works for lunch. For diner we went to Outback, they are serving Australian food and it is fine. you can take the tram to Excalibur and walk a little bit down to strip to get there. They are on the 4th floor. Of course you go to VMworld 2016 for the sessions, we’ll choose them wisely. A lot of session start of with 10 minutes of marketing BS and then go on in a far to low technical level. It’s therefore wise to read well on the content of the session and look at the session level. Most of us IT consultants come to VMworld with knowledge and want to learn more, get more deep insight information. A lot of session are level 300 or lower and don’t provide that deep dive, they are for the less experienced ones and for others. My technique is that I have a short list of topics I want to learn about, get information about during VMworld. Make sure you register for session on time, you don’t want to be in the waiting line. I pick session where either the content is about those topics or the one presenting has knowledge about it. I prepare some questions (have them in my head all year long) and wait the moment to ask them during the session. sure not all questions are answered in the session, sometimes the question goes to far for the level of the session. If that happens you should wait until after the session and talk to the presenter in the hallway. First you have to wait for the fanboys to say goodby for they are always around. Had some nice conversations in the hallways that gave more info than 1 hour in a session..my list of topics is growing already for this year. …and don’t be afraid to walk out of a session if the content is not good enough, you are not there to please them, you paid loads of money to get good content. With my friends in the EUC Champion group we have a session in EUC9992 Practical tips and tricks to help you succeed in EUC. Read more about it right here – link – See you al there, got some stroopwafels to give away for the best questions asked. 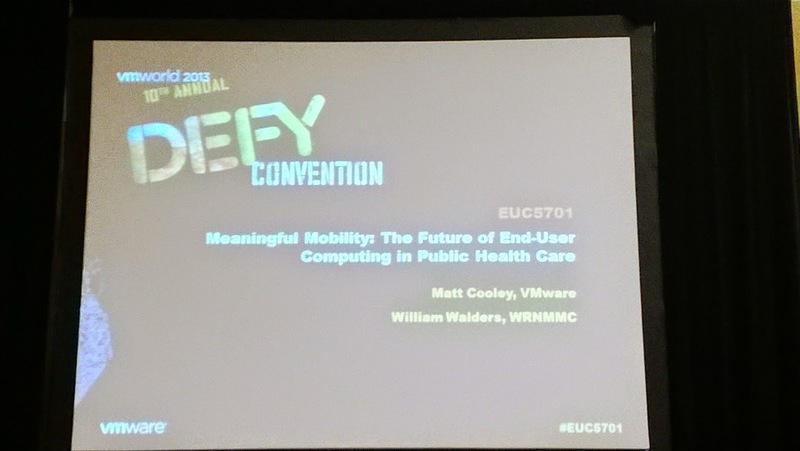 Next Tuesday session building is opened so after that I’l do an article about my session pick, anything EUC that might interest you. The real content is to be found on the floor. Having said that, I should warn you that half the people at the stands has no clue on what they sell, they are hired to smile and show their nice figure to you. Try to find the guy who wrote the code, invented the product and talk to him. There are moments that the floor isn’t that busy (when they don’t draw for an iPad) and that you can actually talk to people. Again I make a shortlist of vendors on the floor and write down why I want to talk to them. Some talks are because they are long time friends but most are talks about new techniques and products. If you don’t come prepared you are facing 500 vendors in a hall that all have a stress ball or sticker for you, not why you came to the event is it? At one side of the floor are the smaller companies the startups, They get the least attention and are almost most interesting. I make time to visit them, not all of them but again through a shortlist. WiFi at VMworld is pretty good, almost at every location I had decent WiFi except the floor. For some reason WiFi is blocked at the floor. I’m sure it’s because the vendors would be using it for demo’s and therefore block it for the visitors but still it’s weird. I have to say WiFi at VMworld is one of the most stable of all conference I’ve been to. Even with 25000 guest with two or more devices it reacts pretty fine. What they could add is a bit more range just outside the building to give us connection also there. We don’t have a US contract so when meeting with someone outside you have to get direction while inside and hope you don’t get lost. Happened to me last time, had to go in a few times to reconnect for outside I was the blind and deaf guy. If you want to pay a few thousand of dollars for an event and hotels to get stress balls, stickers, usb stick and so on… you gotten to the right place. I’ve seen men walk out with two large shopping bags full of crap worth pennies. Every stand will offer you this kind of stuff and the game is to pick out the nice things only. A lot of vendors are giving away an iPad or similar, if you have time enough you could enter all drawing and hopefully go home with one. If you enter the drawing you have to be present and will miss sessions. I would be very picky about this for it will eat your time and time is limited. I would pick up the occasional t-shirt but only if it was original enough, perhaps if you are building a house you will collect a few more. If you are looking for t-shirts and gadgets you better take an extra bag with you, saw a guy walk out once with two big shopping bags full of it. One last thing, registration. Registration is open already on Saturday and Sunday so go there, it saves you standing in line on Monday. in the weekend the opening is only a few hours but at that moment there are no lines so you’re done fast. Take all the crap out and only walk around with what you need. Okay, one more thing. At VMworld they take care you have enough to drink and eat, during the day water, drinks and snacks are provided. it might be wise to take bottle of water extra the first time it’s offered. Dress code at VMworld is business casual I guess although you see everything from business suit to flip flops and bermuda’s. I tend to go in jeans with a T-shirt and jacket to look a bit business and a bit relaxed. The jacket is handy for a wallet and phone and gives me a bit business look. I guess now you want to go there as well, perhaps you can win one of the tickets for free. 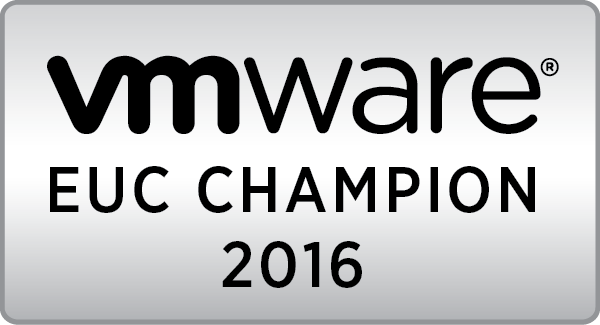 Well that’s my view on VMworld 2016, hope you will get something useful out of it, if you have questions or additions please let me know in the comments or via twitter @robbeekmans. P.s. we have a session that we want you to vote for, I will post more when I know if our session is accepted. Hey, I’m coming with my wife, I was wondering if its worth it to buy the 300US$ ticket to the party for her. What would you say? hmmm hard to say, we’re at the speedway track which might be interesting… but then again 300$ makes a lot of fun also downtown I think. Thanks and C you there!